The T-Mobile-MetroPCS(s pcs) merger may be encountering vocal objections from Metro shareholders, but the companies aren’t hearing a peep out of the U.S. Department of Justice. On Wednesday, T-Mobile parent Deutsche Telekom said the DOJ has let the antitrust clock run out – typically a 30-day waiting period – without invoking its powers to investigate or block the merger. That’s one major hurdle overcome to closing the deal, which would make T-Metro a publically traded company majority owned by DT, though it still faces regulatory scrutiny from the Federal Communications Commission as well as vote from Metro stockholders. The DOJ’s tacit blessing, however, isn’t a trivial matter. The Justice Department has become much more actively involved in U.S. telecom deals ever since it joined forces with the FCC to kill AT&T-Mo in 2011. Since then it has thrown up a roadblock to Sprint’s(s s) mammoth deal with Softbank, citing national security issues. It also played a big role is shaping Verizon’s(s vz)(s vod) spectrum acquisition and partnership with the cable providers, though it eventually let that deal slide through despite its potential impact on broadband competition. The fact that T-Metro’s paperwork passed through the DOJ’s offices without a word is a good sign that the deal will surmount its remaining regulatory hurdles without a hitch. While the DOJ has frowned on consolidation among the Big 4 U.S. operators, this deal would combine the smallest nationwide operator with the biggest regional operator and put T-Mobile in a much stronger spectrum position. Since AT&T-Mo, regulators have been, first and foremost, concerned with maintaining the four-operator equilibrium at the top of the mobile market. MetroPCS has set a vote for on the deal on April 12. 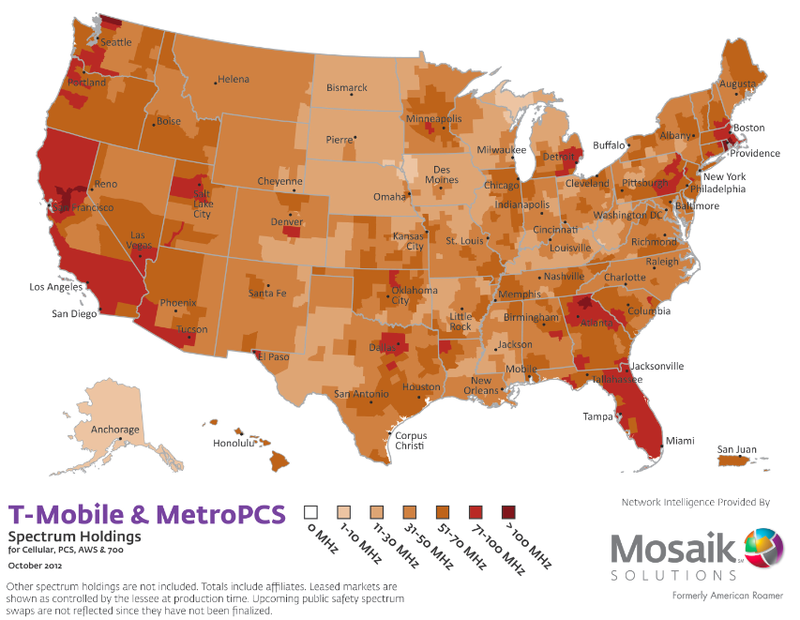 The hedge funds opposing the deals want MetroPCS to negotiate better terms with DT – creating either a less debt-laden final company or giving Metro shareholders a better payout – but so far they only represent a little more than 10 percent of the voting shares of the company. But DT seemed worried enough about their influence to issue a warning Wednesday to those stockholders. For us T-Mobile fans this is indeed good news as they provide a service that gives me a viable alternative and the increase of the spectrum pool held by the company will keep me with them into the future. Bravo Tmo!